Hotels in Mankato can't beat our world class guest service and prime location near Minnesota State University Mankato. Situated minutes away from River Hills Mall, the areas largest shopping center, and within a few miles of the Verizon Wireless Center. 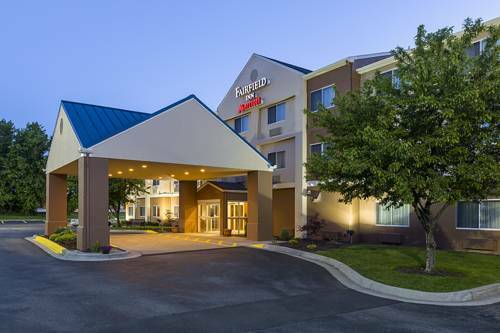 Fairfield Inn Mankato is conveniently situated near Gustavus Adolphus College and Mount Kato, a great spot for quality skiing, snowboarding, and mountain biking. While you're here be sure to indulge at one of the many nearby Mankato restaurants and bars. Mankato Brewery is a local treasure that travelers are sure to love, and Pub 500 offers guests dozens of unique menu options. Free hot breakfast is provided daily, and property wide free WiFi is sure to keep you connected. At the end of a long day, relax or go for a swim at our heated indoor pool. If loyalty is as important to you as it is to us, join our Marriott Rewards Loyalty Program and start earning points towards unbeatable perks at our Mankato hotel!